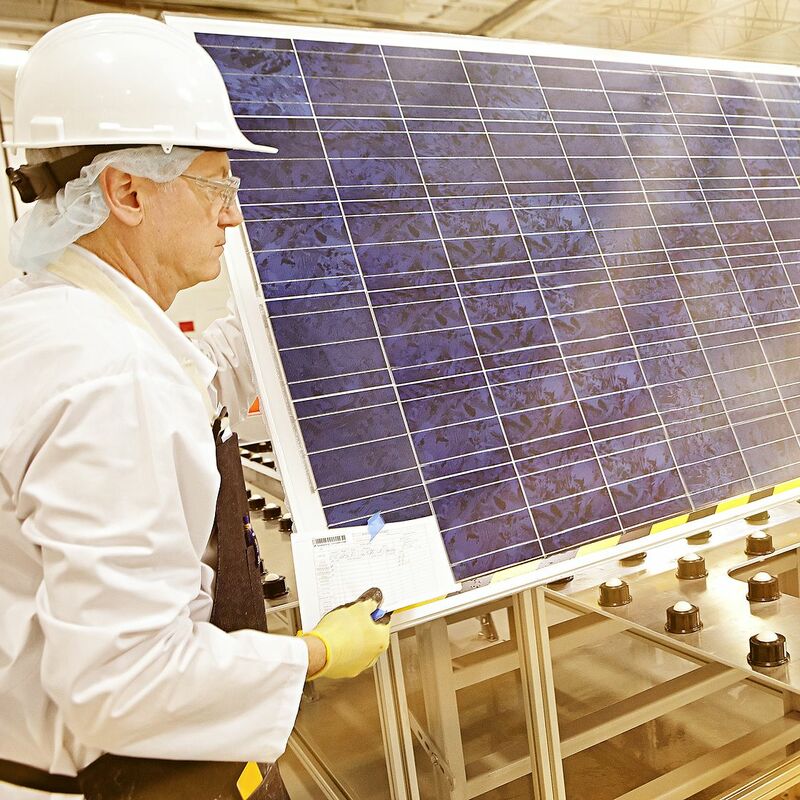 The second quarter financial results for the Chinese-Canadian solar firm reveal above-guidance growth in revenue and shipments, while profit rises to $167.8m for the quarter. Tier-1 vertically integrated solar company Canadian Solar has today published encouraging second quarter (Q2) financials that present a continuation of profit, revenue and sales growth. Building upon a strong Q1, the Chinese-Canadian solar company has revealed that its revenue for Q2 rose 2.3% sequentially to $692.4 million. Although this figure represented a 14.1% contraction from Q2 2016, gross profit was higher – at $167.8 million – for Q2 than in Q1 ($91.4 million) and Q2 2016 ($138.5 million). This strong performance was fuelled by increased module shipments of 1,638 MW recognized as revenue (both a sequential and year-on-year increase) for Q2, and the benefits of a $42.6 million and $15 million anti-dumping/countervailing duty reversal helping to push gross margin to 24.2% – again, an increase on Q1’s 13.5% and Q2 2016’s 17.2%. Average selling prices (ASPs) for modules were also higher in Q2. Canadian Solar also saw its operating expenses reduce sequentially by 10.3% to $84.1 million but selling expenses rise to $39.3 million as a result of higher shipping and handling costs and increase volumes of modules shipped. The company’s growing downstream segment yielded a larger income in Q2, with revenue from operations reaching $83.7 million, up from a loss from operation of $2.3 million in Q1. This pushed operating margin to 12.1% for the quarter, against -0.3% and 4.9% in Q1 and Q2 2016 respectively. By the end of Q2, Canadian Solar’s portfolio of operational solar plants was 1,260.2 MWp with a total resale value of $1.8 billion. In the quarter, the company offloaded its 281 MW Great Valley Solar project to Sempra Renewables. Canadian Solar CEO and chairman Shawn Qu remarked that the company remains on track to monetize its operating solar power plants in the U.S., Japan, the U.K., Brazil and China, revealing that discussions are at an advanced stage for the sale of 703 MWp of its U.S. solar power plant assets. Canadian Solar’s utility-scale solar pipeline comprises 1,391 MWp of late-stage installations, while its ingot, wafer, cell and module manufacturing capabilities are each set to increase by the end of the year, with wafer capacity of 4 GW by December 31 (projected) double the 2 GW current capacity. Shipment outlook for the year projects 6 GW to 6.5 GW of solar module shipments in 2017, the company affirmed.